Yes, you’re in the right place. I know, I usually talk about my fancy showdog and other snobby purebred stuff. 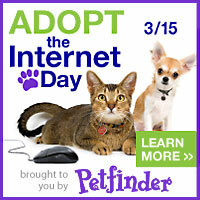 But today is to celebrate Petfinder’s fifteenth birthday and help them Adopt the Internet! You’ve met Oliver the Kittyweiler here before. 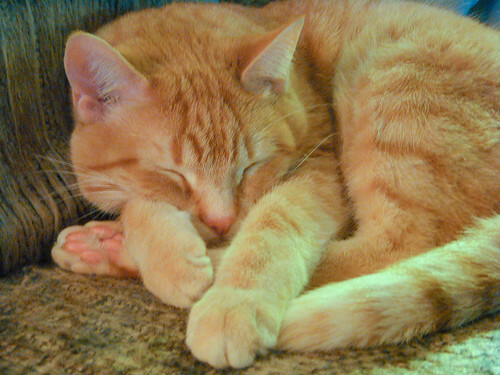 I don’t know if I’ve mentioned that Dan found him on Petfinder. It was a supremely successful match. So we are one of the 17 million successful Petfinder adoptions, and I truly can’t imagine life here without our Kittyweiler. 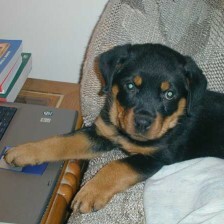 There are more than 320,000 pets waiting for homes on Petfinder.com. I can’t promise you that any of them are as strange and quirky as our Oliver, but I do know that you can make a difference by helping Petfinder Adopt the Internet today and find forever homes for as many as possible, maybe even your own home.